When we go to the doctor seeking treatment we expect to leave with solutions to our pressing medical problems. However, in some cases, the doctor or other member of the medical team makes an error which causes devastating consequences. If you or a loved one has experienced an injury during the course of any type of medical treatment, you may be entitled to bring a medical malpractice claim under Massachusetts Law. According to a 2013 study published in the Journal of Patient Safety, over 400,000 people die in our country every year as a result of errors in medical treatment. This does not include the thousands more who survive but are left with serious and debilitating injuries. All doctors and medical providers have a basic duty of care towards their patients. The duty of care means that the professional’s treatment of a patient must rise to the same level as a reasonable doctor within the local community. If the standard of care falls below this line and injury results, the patient may have a claim for medical malpractice. 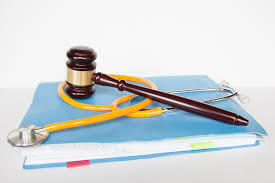 Typically, in medical malpractice cases, expert testimony is required to prove a medical provider’s negligence. This means that you must obtain a doctor who is familiar with medical care in your community who is also willing to testify that your particular doctor or medical provider fell below the reasonable standard when providing treatment. Medical malpractice cases are some of the most complex that we encounter in our practice. They present a number of legal issues and the stakes are normally very high. Doctors and hospitals spend millions of dollars defending against medical malpractice claims. If you are considering a medical malpractice case, you must have an experienced lawyer by your side. At the Law Offices of Jeffrey S. Glassman, we have the experience and resources necessary to take on all types of medical malpractice cases. Please call our Boston office today at 617-367-2900 for your free consultation.